Theatrical Presenters | Kid Power Cares, Inc. Kid Power® is proud to be a member of Arts Midwest, PAE, OAPN, NCPC, & IPAY. We look forward to joining APAP, WAA, & Arts Northwest soon. We are grateful to all the presenters who have embraced our programming.  This page is designed specifically for you. See which theatres have presented Kid Power®. Read recommendations from your presenting colleagues. Download our media kit, technical rider and teacher's guides. Explore our 3-D Souvenir Comic Activity Book for your audience. Kid Power® can offer grants to the schools in your area. Visit our Grant-Share Pricing page to learn how Kid Power® is helping schools afford field trips by using our Grant-Share Program (GSP). We successfully use the GSP with both our field trip customers and our in-school assembly customers. And as you read about how it works, know this; it is completely adaptable to presenting theatres too. Kid Power® will happily underwrite the cost for budget-strapped schools in your area. It’s a smart idea and it’s working. Lenoir, NC Thank you so much for the great performance... The students were highly engaged and learned important facts about nutrition, reading food labels, and how our bodies get energy. West Jefferson, NC WOW! What can I say except a huge thank you for three terrific days of shows for the students in Ashe County, North Carolina. Cary, NC I hardly ever take the opportunity to sit down and watch the performers that we book... For this show, I had so much fun. Durham, NC As a presenter, I want to book shows that are educational and will entertain students while enhancing the curriculums. Fort Wayne, IN Having seen many children’s programs over the years, I highly recommend Mr. Wilson, who provides not only an energetic and educational program, but an educational one, too! Bradford, PA I wanted to let you know how much we enjoyed presenting Operation Lunch Line to our audience. The entire process was so organized from beginning to end. Norwood, OH I was so impressed with the program’s message, delivery, use of technology and the pure talent of the performer. The Woodlands, TX On behalf of The Cynthia Woods Mitchell Pavilion and Children's Festival, it is without hesitation that I recommend Kid Power Programs as a performer for you venue. Greenville, OH I am writing to sing the praises of Kid Power's program Operation Lunch Line. Greenville, NC I want to let you know how much we enjoyed hosting Kid Power: Operation Lunch Line in Wright Auditorium. 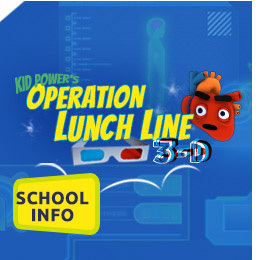 Florence, SC Kid Power's Operation Lunch Line 3D is a wonderful program that introduces kids to a healthier way of living. Wilkesboro, NC Kid Power is AWESOME!!! It has so much student interaction and they will remember this for a lifetime. Buffalo, NY The show was highly entertaining and educational and we received very positive feedback from those in attendance. "It went above and beyond our expectations!" The Woodlands, TX I had the pleasure of working with Bruce Wilson for his performance of Kid Power: Operation Lunch Line 3-D. With all the news you hear about nutrition in schools, we thought this show would be on target... And I think we were right! Temple, TX They are out of Wichita, KS and are an incredible group of faith centered people, working to bring awareness to the environment and health in a way that is fun and educational. I will simply say they are AWESOME. Largo, FL Your innovative program that incorporated 3D video provided an unforgettable educational experience for the audience. Waukegan, IL Mr. Wilson’s talent, energy and animated message had the crowd of school children responding both vocally and physically.